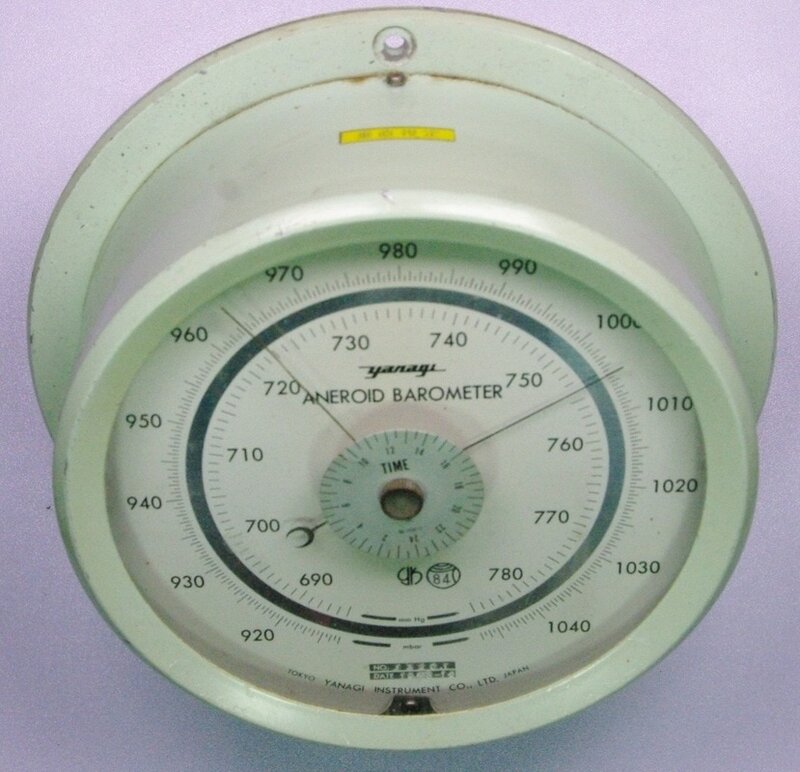 ​This Yanagi Type 6 marine barometer was made by the Yanagi Instrument Company in Tokyo in 1983. Not quite as large as the Type 8 (it has a 5.5 inch dial face), it is nevertheless a heavy, sturdy instrument. I bought it from the ship breakers in India. It's a precision instrument and works quite well.